Haider Naqvi | TPL Trakker Ltd.
Mr. Haider Naqvi is an MBA in Project Management and has more than 10 years of professional experience in Administration & Project Management. 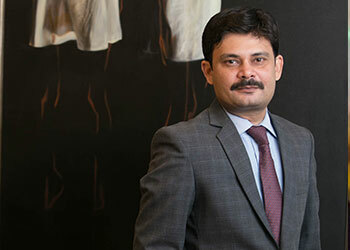 Mr. Naqvi has served TPL Corp for over 8 years in different capacities in the Administration department and currently hold the title of Group Head – Administration. Haider is a highly motivated, energetic individual who brings a mix of technical, management and leadership skills. He has established meritorious bona fides of accomplishment spanning over a decade in Administration, Projects and other areas. He is highly creative, ingenious and strongly recognized as a results-oriented and solution-focused individual.